Most projects don't have experienced product or design co-founders, or they hire a head of product or design too late. Like startups today (e.g., Airbnb, Slack, Pinterest), bring them in at the beginning to balance deep tech with user-centric design. @m2jr looks for founding teams with "earned secrets," which often come from deep experience in the field working (& seeing pain points) with customers & users at a granular level. Teams & visions should be configured this way. How do we know X should be decentralized? 1/ For years, people have been waiting and hoping for crypto's "Netscape" moment. The gateway to the web that brought the internet to the main stream. 2/ The way people imagine crypto's "Netscape moment" is very literal: as a window, gateway, or browser (just like Netscape) to easily acquire, save, and use crypto and access the decentralized web. 3/ But that sounds a lot like a wallet and exchange, which already exists. And yet, even with these onramps and "browsers" into crypto, we haven't had that "Netscape moment" people are hoping for in terms of mass adoption. 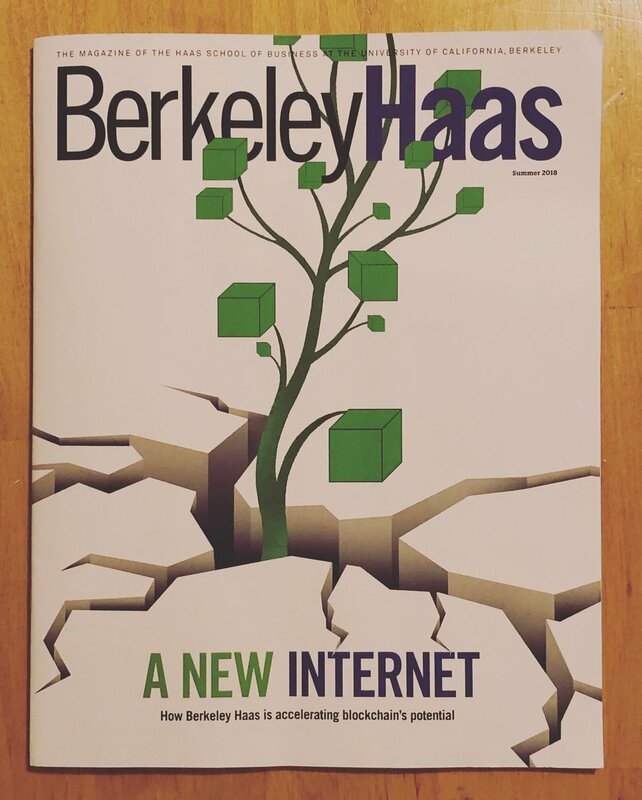 Proud to be among a growing list of @UCBerkeley @BerkeleyHaas leaders in #blockchain & #crypto. Pls add others! Go Bears! 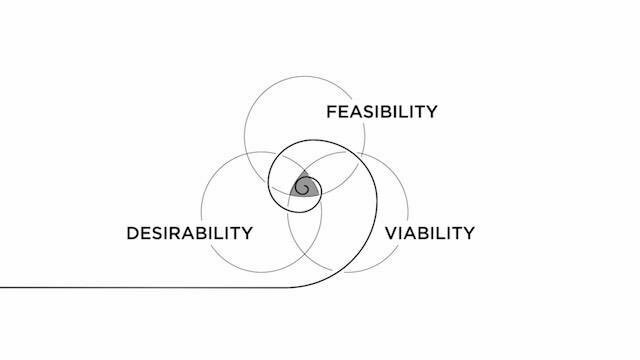 1/ In the early 2000s, @ideo pioneered a process for venture development referred to as the "3 Circles" of Desirability, Viability & Feasibility (ideou.com/blogs/inspirat…). #crypto has a long way to go across all, but right now it is really struggling with the first: Desirability. 2/ Desirability is the question of "Do people want it?" and asks, what is the unique value proposition? How do people hear about, learn, try, buy, use, love, and share it? What are its functional but also emotional benefits? How is it 10x better than the current user experience? 1/ Should we be that surprised with what's going on right now with #ETH and ICOs generally? This is what happens when you have $10B+ raised via ICOs in the last 12 months, no treasury management, no product (or users), and liquid/publicly traded market caps and "shares" (tokens). 2/ #crypto is great for the digital world, but for now (and some time), teams and their employees need fiat to pay for real, non-digital things like rent, food, services, transportation, etc. 3/ I expect this decline to last for another 3-6 months as a growing pipeline of teams both (A) have their non-fiat runways cut by 60-80%, which, if they raised enough for 2 years, is now only 4-9 months, and (B) need to extend their fiat runways by another 12-24 months to ship. 2/ The implication would be that L1 protocols will over time commoditize and centralize (and value will continue to accrue to higher layers of the stack). Around what? Beliefs, values, people, communities, geographies, industries, domains, expertise, services, support, etc. There is a lot of excitement in “money tokens” and “privacy coins”, and while I agree that those are useful and valuable (to a point), my question is: how many different money and privacy coins does the world *actually* want and need? It’s greater than 1, but less than thousands. 2/ By comparison, today there are ~180 fiat currencies recognized by the U.N. representing ~$90 trillion, ~92% of which is digital.